Last weekend’s headline match of the Kasai Super Series at The Bomb Factory in Dallas, Texas, saw us see two Jiu-Jitsu stars take on each other: João Gabriel Rocha, IBJJF’s current NoGi World Championship absolute champion, and Gordon Ryan. In the end, the score was 1-0 to the American, the single point was the result of an attempt of a heel hook, due to extra-time IBJJF scoring rules. What were your feelings about the fight? JOÃO GABRIEL ROCHA: I’m not one to talk about wins or losses, but it’s kind of hard to swallow it. Speaking only of the match, it was very good and I think the fans liked it. I knew he talks a lot, but he is skilled, and I knew that I should be focused, giving everything to the match, because if I wasn’t at this pace, he could finish me. He’s very dangerous, and maybe he’s the best I’ve ever fought with. But at the very least, I got into that fight. Did you have a problem with the new rules? JOÃO GABRIEL ROCHA: Look, I understood that in extra time would be the IBJJF scoring, which I should have won because I passed his guard and was not given the points. It was like this: I fell and we ended up falling out of the ring, then he already came back pulling me to the guard. That’s when he swept me and I swept back. In the five minutes of extra time we were already tired, but I felt I was breathing better. However, he gave he attacked with the heel hook and managed to get a point. I objected because I wasn’t getting the points and I didn’t think it was worth scoring the point for him. But, soon after, I attacked an ‘Estima lock’ and they didn’t give me the point. In the end, I went with everything and I went in the guard passes until I got to the side but also I didn’t win the points. What makes this new generation of fighters so dangerous and feared? JOÃO GABRIEL ROCHA: The truth is that there are positions that we don’t have the habit of training and this new crowd has only been doing that for five years. Heelhooks, attacking with the leg reap, for example, are techniques he’s specialised in since he started training – and he’s always training NoGi. In the camp, I even gave up asking the other athletes to try to simulate the techniques and heel hooks, because nobody was attacking with the proper pressure. Unfortunately, the older Jiu-Jitsu people do not know how to attack well in this type of pressure, unlike Gordon, who is an expert. JOÃO GABRIEL ROCHA: I hope it happens. I’m sure we’ll meet again. 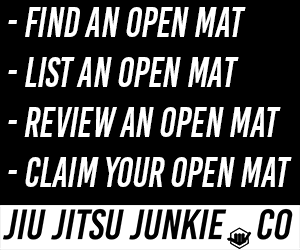 Gosh, I accepted all the demands, like the inclusion of the heel hook in any position, with knee reaping allowed, the ten-minute submission only ruleset. I’ve never fought under this kind of submission only ruleset, while he’s already experienced in it. It was an excellent opportunity to train a lot and evolve some less adjusted aspects of my game. But I know that I will meet him again soon, maybe in ADCC, and there things will be a lot different.